One of the things that I LOVE to do every summer is get the classroom ready for the incoming kindergarteners. It is so much fun to think of fun, new bulletin board ideas and other classroom decorations. We try not to do the same things twice on the door (sometimes we do, but not two consecutive years) and it is always a long process to try and decide what we will do this year. After moving to a new school last year, we now have a big bulletin board outside the classroom as well as these metal work holders (I have no idea what they are called). 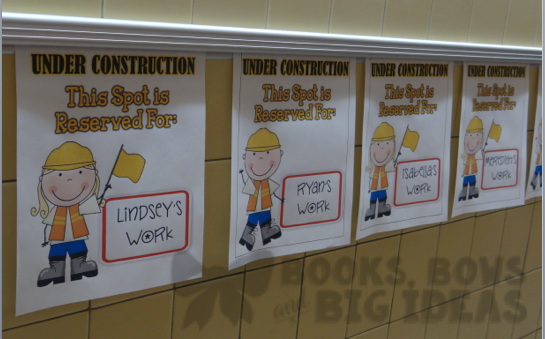 We also have to decorate the door and other spaces inside the classroom. 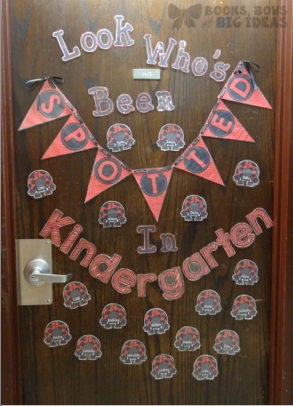 This year our door theme was ladybugs, it says "Look Who's Been Spotted in Kindergarten!". I just love the way it turned out! It is so fun and cute. Next time, I would make the pennants smaller and the kindergarten letters smaller so they are not so curved. I made a ladybug for each kid with their name on it and it looks really cute! The big bulletin board has a Pete the Cat theme. We do a fun little Pete the Cat activity on the first day of school and all of the kids love it! 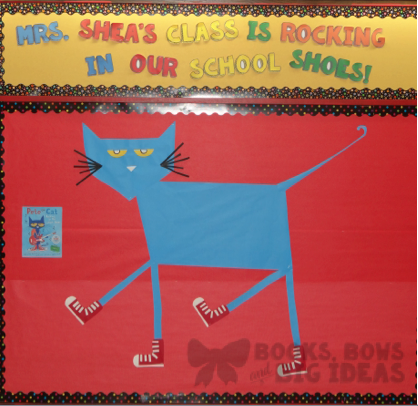 I decided that a Pete the Cat bulletin board was perfect for the beginning of the school year. This idea was inspired by this pin. I made the cat out of big blue bulletin board paper and then typed and printed the letters. I am SO happy with the way it turned out! The next thing is my favorite new thing that we did this year. 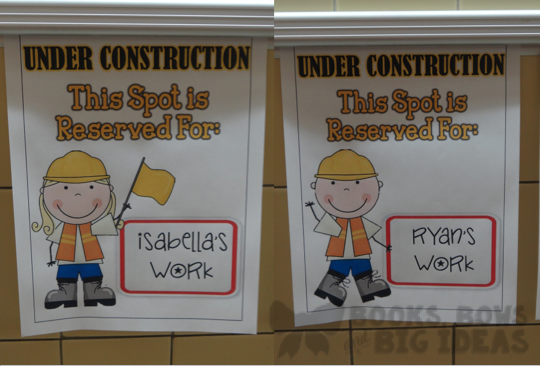 We put these signs outside the classroom, in the spot that we hang up student work throughout the year, for kindergarten orientation. I think that it really adds something nice and special for each child to be able to find theirs and get excited about their kindergarten year. I like that it is personal to each student as well. I made a boy and girl sign, I think they came out really cute! You can get these signs on TpT by clicking here. We go back to school this week in NY, I am excited for the new school year and for autumn weather, it is so hot out, not the best weather for school! What did you do for your bulletin boards and classroom door this year? I would love to see! 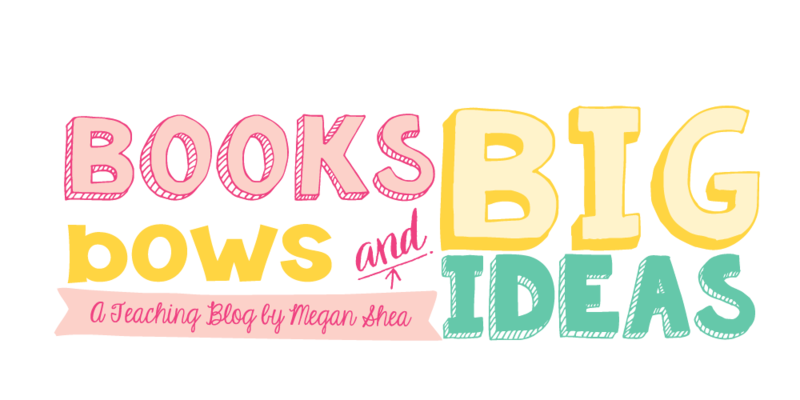 Leave a comment with your blog post/pin or tell me about it in the comments!